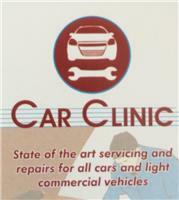 Car Repair Clinic - Garage/Vehicle Services based in Normandy, Surrey. Email or text if the phone is busy, we ALWAYS get back to you. At Car Repair Clinic, we are committed to finding the perfect solution for you and your car. Customer service is the key at this family run small business. We have 40 years’ experience in the motor industry and have seen and worked with the changing face of the motor car. We can carry out all types of repair and maintenance to cars and light commercial vehicles. Our list of services offered are extensive either at our well-equipped workshop, or via mobile repair or vehicle recovery to workshop available.